The Bedford County Chamber of Commerce is pleased to share additional details concerning the 5th annual Bike Bedford County event: Saturday, August 18th. 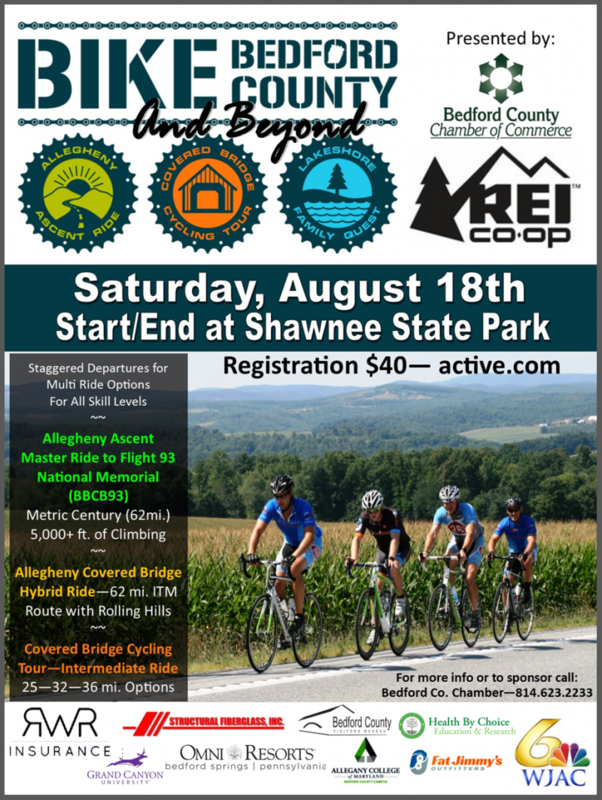 The bicycle rides, presented in partnership with REI (Recreational Equipment, Inc.) begin and end at Shawnee State Park and feature beautiful scenery of the Allegheny Mountains and Bedford County Region. Cost to participate is $40 per rider. 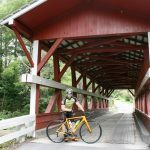 The rides are supported by sag wagons, responding bike techs and rest stops with PB&J, fruit, beverages and more. All riders receive a commemorative glass. Bike Bedford County is Sponsored by: Structural Fiberglass Inc., RWR Insurance, Bedford Ford/Bedford Chrysler, WJAC-TV, Fat Jimmy’s Outfitters, Allegany College of Maryland, Health by Choice Education and Research, Grand Canyon University, Olde Bedford Brewing Company, BestWay Pizza Bedford, and Omni Bedford Springs Resort and Spa. Marketing provided through a grant from the Bedford County Visitors Bureau. 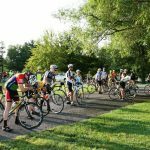 As a companion event, you are welcome to also register for the Sunday morning (August 19th) Break of Day 5k/10k at Shawnee State Park, part of the Bedford Sunrise Rotary Race Series. This race benefits the Bedford County Chamber Education Foundation. NEW: Riders may register or check-in Friday evening between 5pm and 6pm at Fat Jimmy’s Outfitters. All registrants will receive a coupon for a beer courtesy Fat Jimmy’s and Olde Bedford Brewing Company, located inside Fat Jimmy’s (Railroad Street in Bedford.) ONLINE REGISTRATION IS CLOSED, BUT YOU MAY STILL REGISTER FRI. OR SAT. 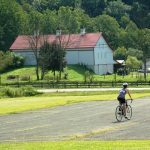 NEW IN 2018: The Allegheny Ascent ride will take cyclists to the Flight 93 National Memorial. 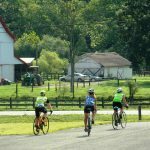 The challenging metric century (62 miles) features more than 5,000 feet of climbing as well as scenic, shaded stretches and a rest stop at Flight 93. Registration & Check-In begins at 7:30am at Shawnee State Park’s main parking lot (#2 near the boat launch.) Mandatory pre-ride meeting is at 8am followed by departure. Allegheny Ascent to Flight 93 Cue Sheet.2018.